Miu Miu's iconic ballet flats became a cult hit as soon as they appeared on the Spring '16 runway and have been reiterated every season since - if you're looking to add to your collection, then make sure this pair is top of your list. 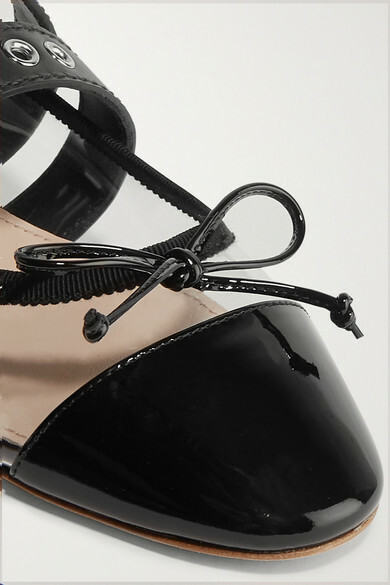 Made from clear PVC, they have glossy patent-leather trims and the signature buckled straps. Shown here with: Miu Miu Dress, Miu Miu Shoulder bag, LELET NY Hairclip, Kenneth Jay Lane Earrings.